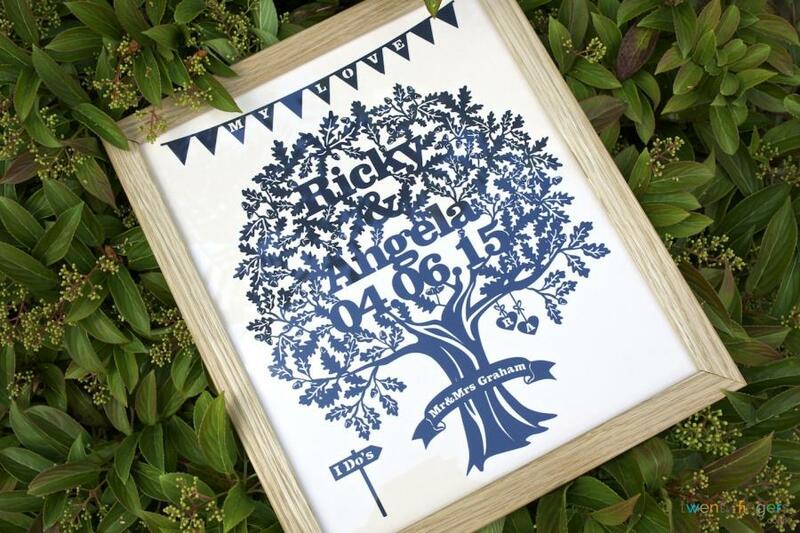 Love Tree Papercut in a Traditional Frame. Beautiful wedding or anniversary gift! It can be a very difficult task to determine what gift to choose when shopping for a wedding. To truly outshine all other gifts on the table at a wedding requires consideration for both the bride and the groom. It is understood that the bride and the groom will have specific interests that do not seem to coincide with one another, but rest assured that a keepsake to remind them of their perfect day will become a bright note in their future. We offer the perfect gift for the bride and groom of today. 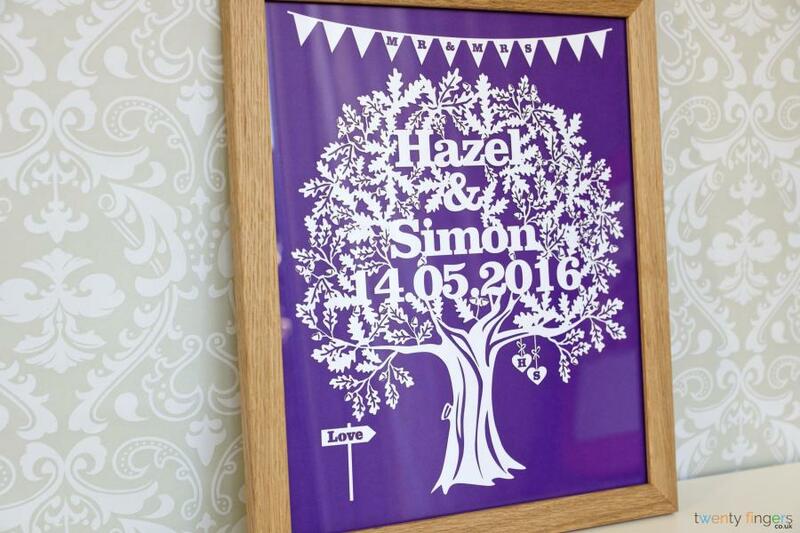 Our Love Tree Papercut will remind the happy couple of that special day and also allow them to remember who loved them enough to give them such a special gift. 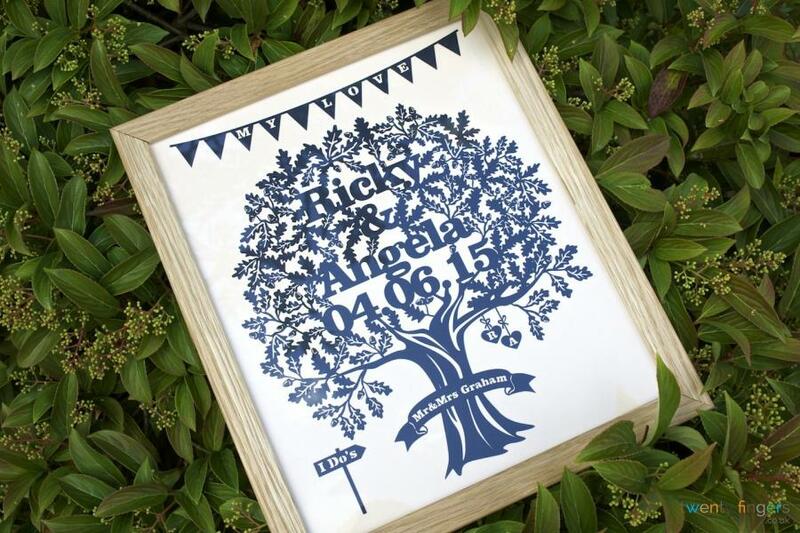 In addition to being great for weddings, the Love Tree Papercut can be perfect for an anniversary. Anniversaries can be just as difficult to buy for as a wedding, but with this gift you and your love will have an eternal reminder of the love and affection you share for one another. Unique – Everyone wants to give a gift that is both unique and beautiful. There are many unique and quirky gifts that are available to the new bride and groom, but just because a gift is unique does not ensure that the product will be of use. The Love tree cutout is both unique and useful. Helpful – When choosing a wedding gift the bride is usually who the gift is purchased for. 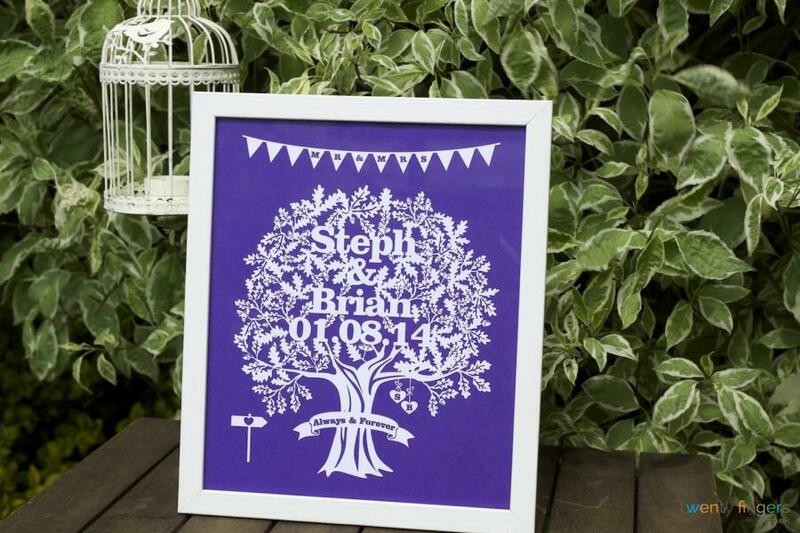 The Love Tree Papercut is truly for both bride and groom. The hand crafted gift is beautiful, so it will satisfy the bride, but it is also functional in reminding the groom of the anniversary date. This will keep that particular problem from the couple. Easy To Match – Many times it can be hard to match a specific item with the color scheme of the home. Purchasing a product with wild colors can be a risky move. Neutral colors work well with most homes. 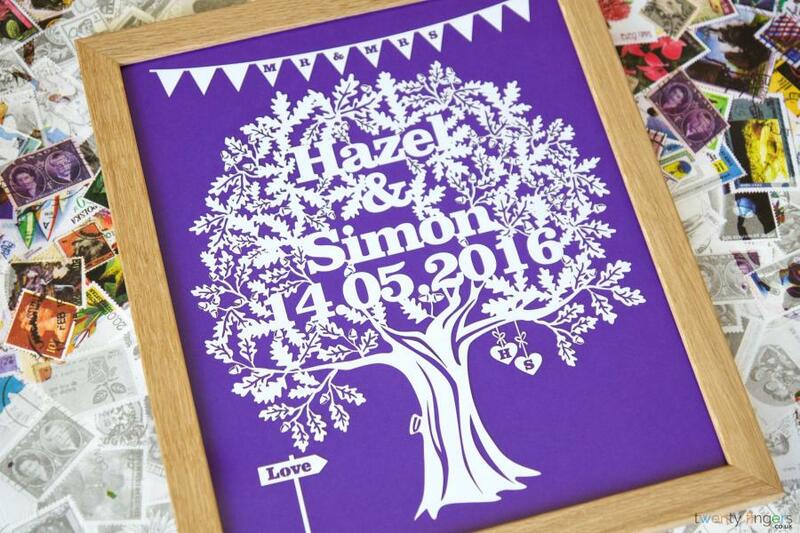 We offer the Love Tree Papercut in a wide variety of colors to suit any home décor. To truly bring your Love Tree Papercut to life, the proper frame needs to be applied. We have two framing options to choose from. We have our traditional frame made of solid wood and our very popular floating frame. Whichever option you choose your papercut is sure to be an eye-catching addition to your home. There are times in our lives where choosing options can be difficult. For those times we offer an unframed option. 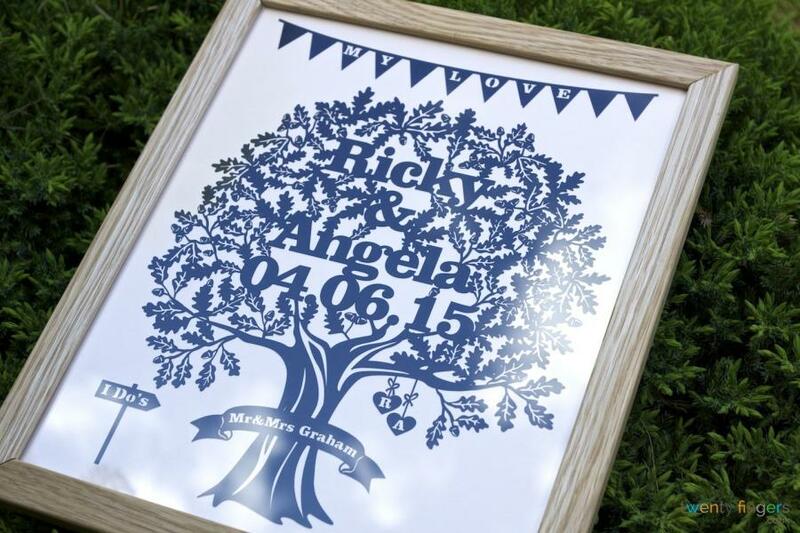 We will send you your Love Tree Papercut designed to fit A4 and A3 frames. Delivery is another thing one has to think about when ordering a hand crafted gift. Twenty Fingers takes the guess work out of it. Shipping is free! We use Royal Mail 48 or myHermes traced services to ensure your gift will arrive safely. Allow for 2 to 3 days to receive your package. If 2 to 3 days is simply too long to wait, we offer next day delivery services through Royal Mail Special Delivery or UPS Next Day service. Love is a precious gift and it is important to celebrate that special day two become one. 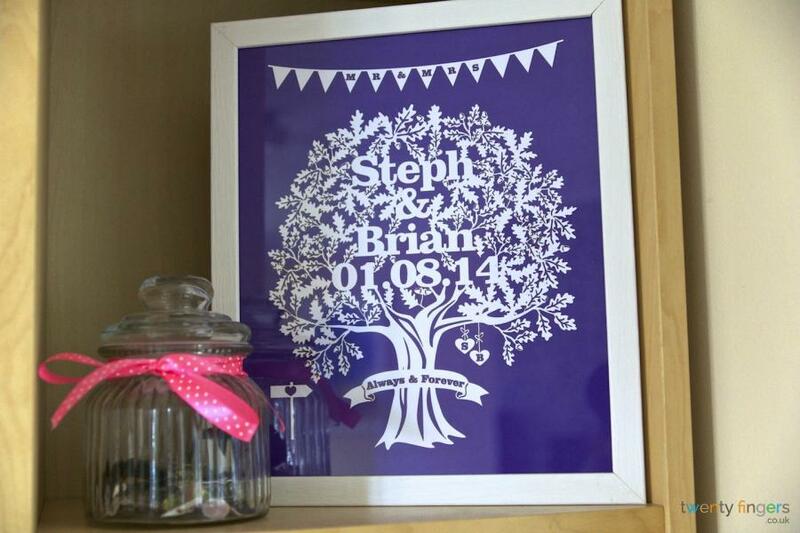 You can rest assured that the Love Tree Papercut is the perfect gift to commemorate that timeless love. Fab gift. I bought this for my friends anniversary and they and I loved it. It is a quality piece of work and comes gift wrapped. I'll definitely be ordering again! 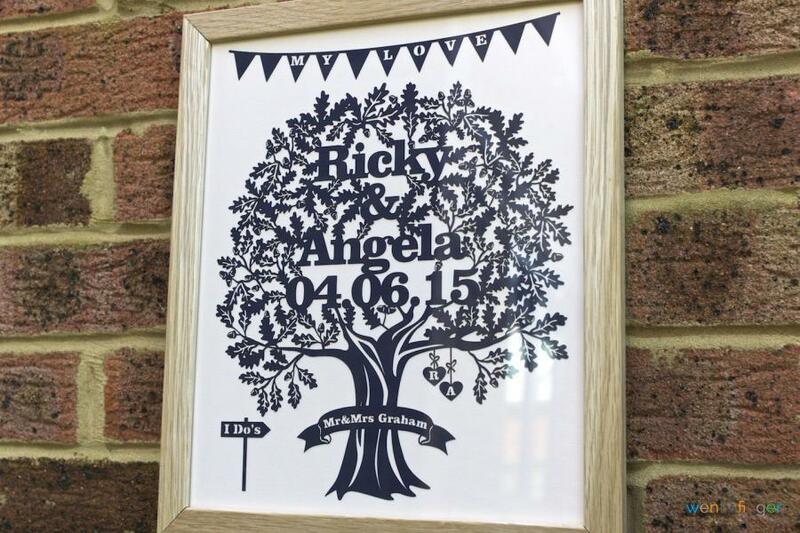 Bought a lovely framed paper love tree for my son and daughter-in-law as a wedding gift. Was delighted with it. Easy to order on the site and it arrived promptly and well packaged. A beautiful gift that I am sure will be enjoyed for years to come. Thank you twenty fingers. Have already recommended to friends.